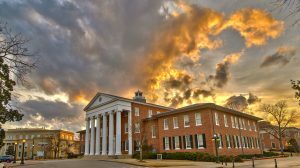 OXFORD, Miss – The University of Mississippi was recently named to the U.S. News and World Report’s Best Colleges and the Wall Street Journal/Times Higher Education’s College Rankings for 2018. UM also continues to increase its global research standing through gains in the NTU Performance Ranking of Scientific Papers for World Universities. 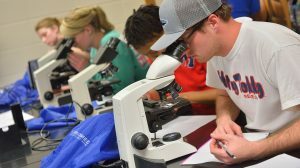 Mississippi’s flagship university has improved upon its national standing in business and engineering while its pharmacology and toxicology, clinical medicine and physics research get high marks in worldwide university rankings. Ranked as the nation’s 10th fastest-growing public doctoral institution in the Chronicle of Higher Education’s 2017 Almanac, Ole Miss is the state’s largest university with 23,780 students. The university is also included in the elite category of R1: Doctoral Universities – Highest Research Activity by the Carnegie Classification. This group represents the top 2.5 percent of public and private institutions of higher education in the country. “Rankings provide important benchmarks for our university to continue our focus upon growing our reach and enhancing our international pre-eminence,” Vitter said. The university has climbed steadily in the overall ranking of the 800 best research universities in the world, moving up nine spots from a year ago. The NTU Performance Ranking of Scientific Papers for World Universities evaluates achievements in scientific research by using objective indicators. Research productivity, impact and excellence were measured to assess the performance of scientific publications. UM ranked No. 76 in the U.S. and No. 321 worldwide among public institutions in the NTU rankings. The university’s pharmacology and toxicology research ranked No. 152 among public institutions worldwide, while physics ranked No. 217 and clinical medicine came in at No. 242. In four of the last five years, the university has also improved its overall U.S. News and World Report ranking. This year, UM comes in at No. 73 among public institutions and saw a rise in its rankings in engineering and business administration. The university’s peer assessment and first-year student retention rates also were at all-time highs. The School of Engineering’s undergraduate programs are tied for No. 113 among public universities. This fall, the engineering school raised its admission requirements, and the overall quality of the programs continues to improve. The recent addition of the Bachelor of Science in Biomedical Engineering program included a fall 2017 inaugural class of 54 students with an average ACT of 30.9. The School of Business Administration’s undergraduate ranking rose four spots in this year’s rankings to No. 65 among public universities. The school, which is celebrating its 100-year anniversary on campus this fall, is committed to continuing the momentum, said Ken Cyree, UM business dean. “I am proud of our commitment to adding value to our students and helping them prepare for the competitive workplace and for success,” Cyree said. UM is also ranked among the Wall Street Journal/Times Higher Education’s best U.S. universities, coming in at No. 78 among public universities. This ranking constitutes a comparative assessment of more than 1,000 colleges and universities, measuring factors such as university resources, student engagement, outcomes and environment. The findings are based on surveys on success and learning completed by 100,000 college students. The surveys ask students whether sufficient resources are available to teach them properly and whether their teachers and classmates challenge and engage them. It tries to answer whether the college has a good academic reputation and what kind of campus community is in place. The ranking also aims to help prospective students decide how likely they are to graduate, pay off loans and get a good job. 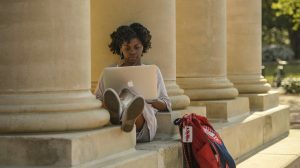 The university scored high in student satisfaction surveys found in the Wall Street Journal rankings – 87.9 percent of students said if they could start all over again, they would still choose Ole Miss. More than 80 percent said they found the university successful in helping secure internships that prepared them for their careers, as well. In national rankings by other sources, the university achieved several additional accolades, including the School of Law ranked as the No. 22 best value law school in the country by National Jurist magazine and the School of Accountancy’s undergraduate, master’s and doctoral program all ranked No. 8 in national rankings published by the journal Public Accounting Report. The master’s program leads the SEC in rankings, while the undergraduate program comes in second. Efforts by faculty, staff and students to excel in their pursuit of knowledge places UM in an exceptional position to continue leading the way in learning, discovery and engagement, Vitter said. “As we continue to measure our success on a national and global stage, I am committed to a future marked by even greater achievements and contributions by our strong, vibrant university,” he said.